Renowned for its exceptional expertise and focus on IP-based technologies, PLANET delivers the most innovative and highly integrated EtherNet and POE Switches as well as many other IP products and solutions based on Planets IP Technology products. 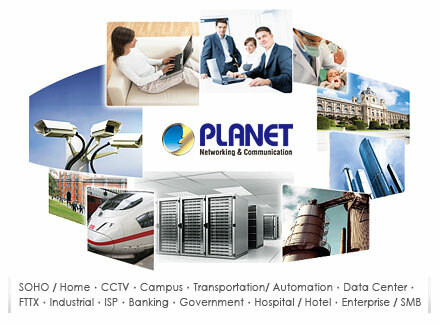 Planet covers a complete range of cutting-edge IP technology products. The product mix is driven by the concept of providing IP Technology Power to the VAR. Planet products are also energy efficient, easy-to-install, and cost effective while providing VARS a good margin. Give Planet Products a try you will surprised how elaborate and complete these products are from their packaging to a great user interface. Like us at ABP Tech you too will find that Planet is an outstanding manufacturer of IP Infra-structure products.